The Syrian government could not have carried out a chemical attack in Syria because all of the chemical weapons were taken out of the country under international supervision. Sputnik interviewed senior political researcher Boris Dolgov. 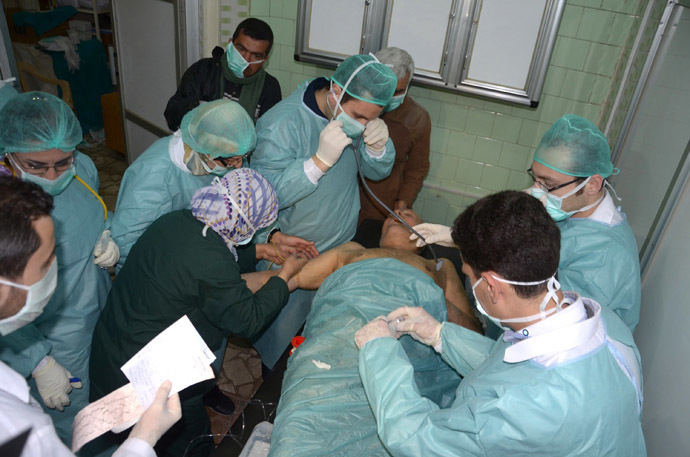 Syrian opposition claimed Tuesday that forces loyal to President Bashar al-Assad had used a chemical gas on people in the northwestern province of Idlib, killing nearly 80 and injuring 200. Assad argued that his government has no chemical weapons after agreeing to have them destroyed in 2013. He also ruled out having used chemicals against his own people. The Russian Defense Ministry said early Wednesday that the airstrike near Khan Shaykhun was carried out by Syrian aircraft, which struck a terrorist warehouse that stored chemical weapons slated for delivery to Iraq. According to a senior researcher of the Center for Arab and Islamic Studies of the Institute of Oriental Studies at the Russian Academy of Sciences, Boris Dolgov, these accusations are part of a new campaign to discredit the Syrian leadership. “The Syrian Army is accused of using chemical weapons, while the data that is being used by those who launched this campaign, is based on the statements made by the NCESC and by an organization called Human Rights Observatory in Syria, which is located in London and in fact, has no means of its own to really monitor the situation,” Dolgov told Sputnik. In his opinion the chemical weapons were not used by the Syrian army because it’s absurd to use such weapons on the territory of one’s own country, in the area where the government’s army is operating and especially against the civilian population. Dolgov said that this is propaganda and a false campaign, but despite all, it will continue. “It’s unfortunate that both the US and the new president joined this campaign without bothering to understand in detail as to what is actually going on,” the researcher said. He further said that it remains unclear how chemical weapons or its components ended up with the terrorists. “There were reports that they were illegally imported through Turkey or some other channels. It was said that the militants use this weapon, this was proven, moreover, documented and certified by Russian experts,” Dolgov concluded. Earlier in the day, the Russian Foreign Ministry spokeswoman said during her weekly press briefing that the US and other countries submitted a draft resolution on Syria which is “completely” based on fake reports. 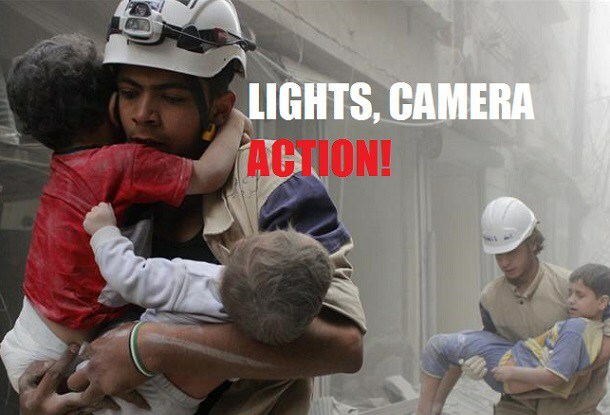 Maria Zakharova said that the White Helmets and the Syrian Observatory for Human Rights (SOHR) cannot be considered to be reliable sources as they have been repeatedly caught spreading fake reports on the situation in the war-torn country. She added that the same images were used to illustrate the situation in Aleppo are now being used to allegedly prove the chemical attack in Idlib.